Every client I work with needs help with their activities of daily living to make them safer for their bone health. This guide is dedicated to sharing that knowledge with you. These guidelines are a part of my Health Guides series. This Activities of Daily Living guide is filled with lots of information and videos on how to move safe and protect your bone, disc and joint health. It is a really good resource if you’re looking to incorporate safe movement patterns into your daily living. In this article I cover the following activities of daily living topics. I provide detailed steps, tips and guidance on how to modify each activity so that your body movements reduce your risk of fracture. Each of these activities of daily living topics takes into consideration that many of you are at risk of a compression fracture because of the health of your bones. Compression fractures are real and are always a risk when you do certain activities. The simple act of lifting her travel bags was the straw that literally broke Brenda’s back. Brenda suffered numerous compression fractures and they have changed her life. Small things and small movements matter. Be attentive to how you move when you lift things, do your house work and do things you love, like gardening. Often, when we’re making recommendations, we’ll make two or three suggestions as therapists to our clients on, you know, “Make sure you don’t do forward bends.” But I realized over the years that it’s hard for individuals. Unlike therapists, you are not thinking about movement patterns all day long, so it’s hard for you to carry over. You remember not to do forward bends when you tie your shoes or when I’m picking up items, but then you’re not thinking about that when you’re unloading your dishwasher, or raking your leaves, or tending to your dog, and other everyday activities. This Activities of Daily Living guide breaks it down from all the items I could think of in the kitchen, movements that you might be doing in your yard, in your study, so that hopefully, you’ll really start to see a pattern. If there’s something that isn’t there, then send me an email. I’m happy to always add to this Activities of Daily Living guide. It is comprehensive and I think you’ll find it really helpful. I welcome you into the journey. The list of activities of daily living to modify can be overwhelming. Pick one activity to modify each week. Start with the ones you perform most frequently. Within a few months, you will have improved your body mechanics and movement patterns. Modifying your activities of daily living is not a substitute for an osteoporosis exercise program. Good body mechanics will enhance the benefits of your osteoporosis exercise program. Regardless of the state of your bone health, good body mechanics practiced during activities of daily living are important to the prevention of back pain and injury. If you have osteoporosis, good body mechanics will help prevent compression fractures of the spine. If you have knee pain consider investing is a reacher, a long-handled shoehorn, elastic shoelaces, and a long-handled bath brush. I published a blog post on how to rake leaves safely especially people with osteoporosis, osteopenia, low back pain or neck pain. The risk of a compression fracture is elevated during specific activities for people with osteoporosis. You can also aggravate your back or neck pain while raking your garden. The Raking Leaves Safety Tips post identifies twelve tips that you can follow and reduce the risk of this unfortunate outcome. If you are a gardener, I encourage you to learn how to shovel so that you reduce your risk of a compression fracture or back pain. I published a blog post that provides Shoveling Safety Tips you can easily follow. Who likes to weed their garden? Perhaps it is not your favourite activity but it is essential if you are a gardener. 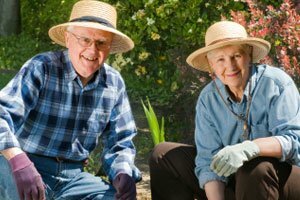 I wrote a blog post on safety tips for Weeding the Garden that describes different things you can do to be kind to your back and knees, suggests several pieces of equipment that will help you weed, and identifies four techniques to remove weeds safely. If you have a lawn you will likely have to mow it every several weeks during the spring, summer and fall seasons. I wrote a blog post on Safety Tips on Cutting Grass that provides a detailed explanation of four things you can do to safely mow your lawn and avoid back pain or compression fractures. We often have to move heavy objects while working around the house or garden. I wrote a blog post on How to Move Heavy Objects and reduce the risk of injury to your back, joints and spine. Like it or not, snow is part of winter in many parts of the world and we should learn Shoveling Snow Safety to reduce the risk of injury or fracture. You usually do not consider opening your fridge to be an activity that could lead to injury or fracture; but it can. I have prepared Opening Fridge Safety Tips to help you open you fridge accident free. When you remove your laundry from the washing machine or dryer, you need to be attentive to your movements. This blog post covers How to Remove Laundry from your Washer and Dryer. A Physiotherapist asked me if there is a safe way to put on shoes if you have osteoporosis. Wendy Barden is a Toronto-based Physiotherapist and owner of Stretchit Physiotherapy Services (SIPS). Wendy offers in-home physiotherapy to all age groups within the Greater Toronto Area. Wendy completed the MelioGuide Building Better Bones Level 1 continuing education course for Physical Therapists several years ago. She keeps in contact by reading the blog articles I post. She periodically asks me questions related to client care. She recently asked me a question on how she should coach senior clients with low bone density on the safest way to complete an everyday task — putting on their shoes. I provided my feedback to Wendy and am interested in any suggestions that you, the reader, may have. You can find my suggestions below. Here is Wendy’s question. It includes the detail on the client. Since taking the Building Better Bones course I am even more careful when prescribing exercises and helping my elderly clients modify their activities to minimize the risk of fractures. I was wondering if you have any suggestions regarding putting on shoes and tying the laces but minimizing spinal flexion during the task? 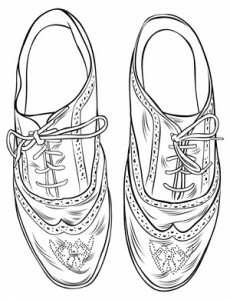 Elevate the foot onto a stool and then hip hinge to safely reach for the laces. Instead of shoes with laces, wear shoes fastened with velcro and use long handle shoe horn. Again, instead of shoes with laces, wear slip-on shoes and use a long handle shoe horn. If she loves her laces, consider elastic laces combined with a long handle shoe horn.